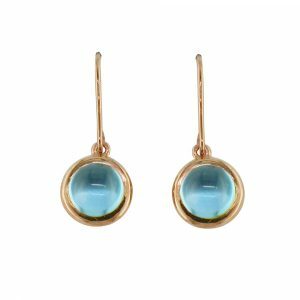 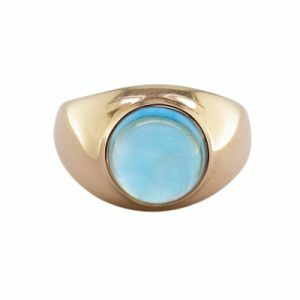 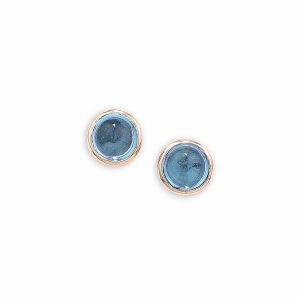 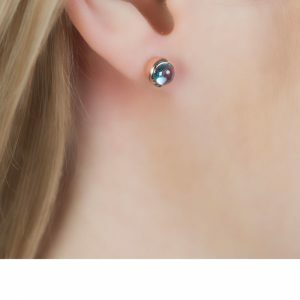 A classic cabochon cut blue topaz, 10mm in diameter is set into a 9 carat rose gold rub-over setting. 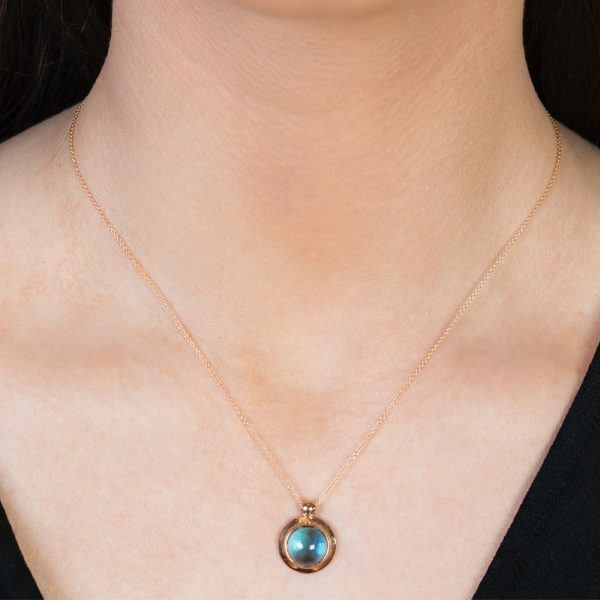 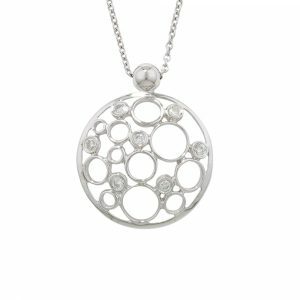 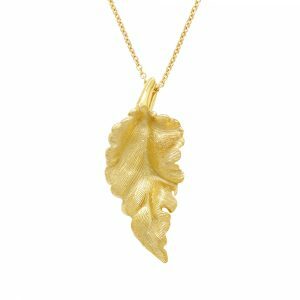 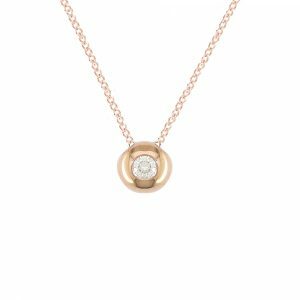 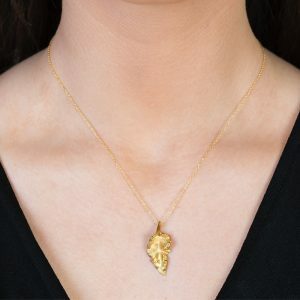 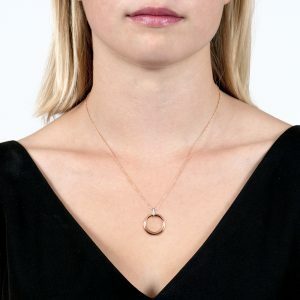 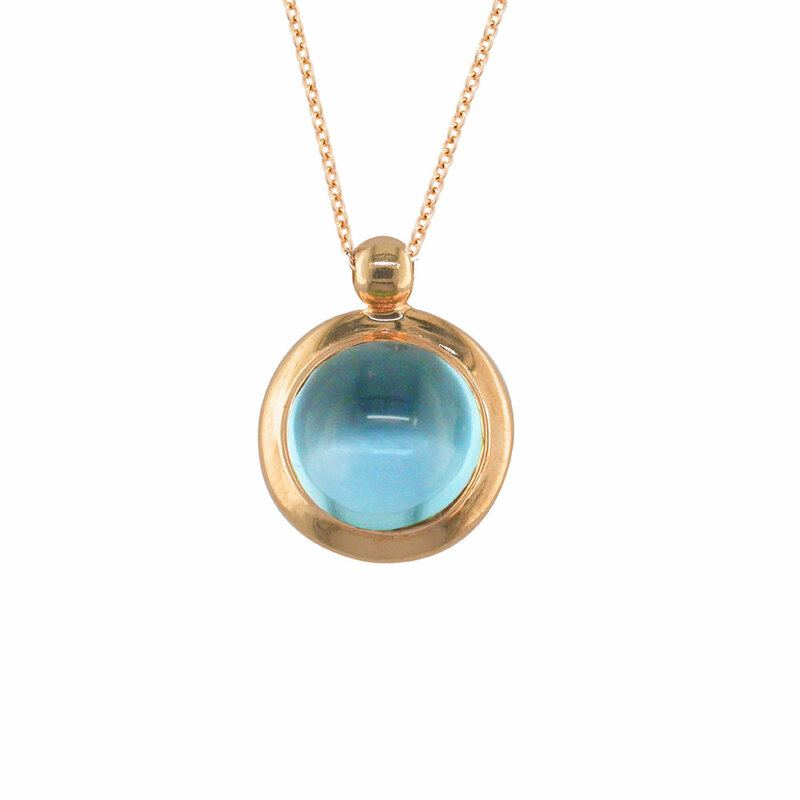 The overall dimension of the pendant is 14mm, suspended on an adjustable 16-18 inch rose gold chain. 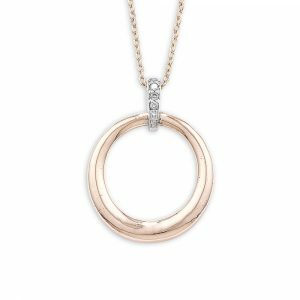 Hallmarked 9 carat rose gold. 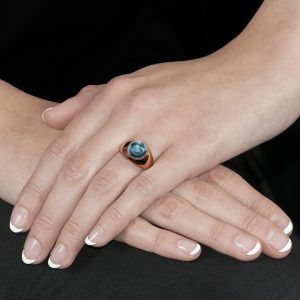 Complete the set with the matching Rose gold blue topaz earrings and our Rose gold blue topaz ring.